As the Arctic Council looks to reform the way it goes about its business, critics suggest it needs to address mission creep and a “sclerotic” bureaucracy. During the two decades it has existed, the Arctic Council has come to mean a lot of things to a lot of people. Heather Exner-Pirot, a Canadian academic who follows the organization closely, suggests that this may be something the organization should consider carefully as it draws up a plan for its direction the next decade and beyond. “If the Arctic Council is asking itself what it should do, it should ask whether it is doing things other organizations are doing, and whether their work helps to move the issue forward,” she says. In areas such as the environment and maritime issues, the Arctic Council has made progress, she reckons. The three legally binding agreements it has adopted to date all address such topics. But when it comes things like education or telecommunications, its accomplishments are harder to point to, she says. Exner-Pirot’s “asking itself what it should do,” is in fact, an involved process that began in 2015, when the U.S., as it assumed the two-year rotating chairmanship of the eight-nation group, said it would seek to use its term to begin working on a “strategic plan” that would guide the council’s development for a period of 10 or 20 years. This, the U.S. noted, would be the first time since the council was established, in 1996, that it drew up an “overarching” and “long-term” plan for what it wanted to accomplish. As a growing organization with an expanding mandate and steered every other year by a new country with a different set of priorities, this was increasingly becoming necessary. When it was founded, the work of the Arctic Council was limited to environmental issues. The Arctic itself remained a far-away corner of the world, and what happened there, stayed there. The first group of 11 observers, admitted in 1998, were either non-government organizations with work related to the region, or countries that had a history of polar exploration. Today, the Arctic Council’s work has a far broader range of issues it addresses. One of the outfit’s recently completed efforts, for example, is a publication looking at food traditions that includes both recipes and the lore behind them. The four priorities set out by Finland, the current chair, further underscore the current breadth of the council’s mandate; during its two-year term, it is focusing on education, meteorological co-operation, telecommunications and environmental protection. Membership, too, has become more internationalized. The council’s members (the eight national governments) and its permanent participants (representing six indigenous groups) are fixed, but the number observer nations and NGOs has ballooned to 33. Having a plan for its future, “could enhance the ability of the Arctic Council and its subsidiary bodies [to] work together as a more coherent whole and could guide subsidiary bodies in setting priorities in and developing future work plans,” the U.S. argued. That work was to carry over to the current chairmanship, held by Finland, which was tasked with producing a first draft of a plan by 2019. During their meeting in Levi, Finland, last week, senior Arctic officials discussed progress on the plan. The specifics are not public, and what was discussed in Levi will almost certainly change before a final version is adopted. “We won’t be getting a perfect paper, and most countries will be making some comments to it. So, it’s a strategic work that’s very much in progress,” one official said ahead of the meeting. Those who keep an eye on the Arctic Council have pointed to a number of areas they feel need addressing, though. In a 2016 report on the topic, for example, Svein Vigeland Rottem, a Norwegian academic, came up with three after speaking with sources involved with the council: a unified vision for the organization; better coordination of its varied and sometimes overlapping projects; and finding ways to get more of its partners involved in its work. One thing is for certain, the process will not see the Arctic Council drift far from the guidelines set up in the Ottawa Declaration, the council’s 1996 founding document, or any of its later key guidelines. The U.S. instructions make it clear that any changes “should build on” the organization’s key documents, and take its history into account. It also warns against “reinventing” an Arctic Council, but says “updates” and new guidelines are welcome. 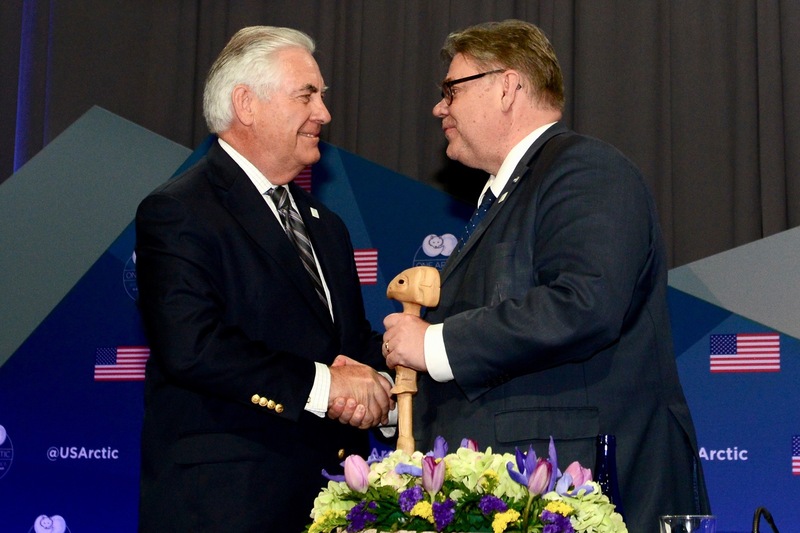 Exner-Pirot is eager to see what the plan looks like when it is handed over in a year’s time, at the end of the Finnish chairmanship, though she’s not expecting “radical change”, a sentiment that appeared to be confirmed by comments made by Arctic Council officials after the Levi meeting. “It’ll probably be quite conservative, actually,” she says. Even incremental change would come as a surprise to those who have been disappointed with the Arctic Council’s ability to streamline the way it goes about its business so far. An example of the sort of resistance Eichbaum fears a strategic plan will strand on is what he describes as the failure of a similar effort to turn the Arctic Council’s temporary Task Force on Arctic Marine Cooperation into a permanent body. Something he says was a “great step backwards”. “Rather than creating mechanisms to ensure better state implementation of decisions made by Arctic Ministers, it appears the bureaucratic forces within the Arctic Council system prefer to maintain the largely ineffective status quo,” he wrote in a blog post last week. The problem, he finds, is that decisions made by the Arctic Council, and, in particular, during the biennial, cabinet-level meetings, don’t take into account whether they can be adopted by national legislatures. He admits that changing the way the Arctic Council does it’s business is an unenviable task, but the consequence of not doing so, he feels, is gradual irrelevance.